Advice to winter travelers in Iceland: keep up with the weather reports, have a car with 4wd/ studded tires, and have a plan B! 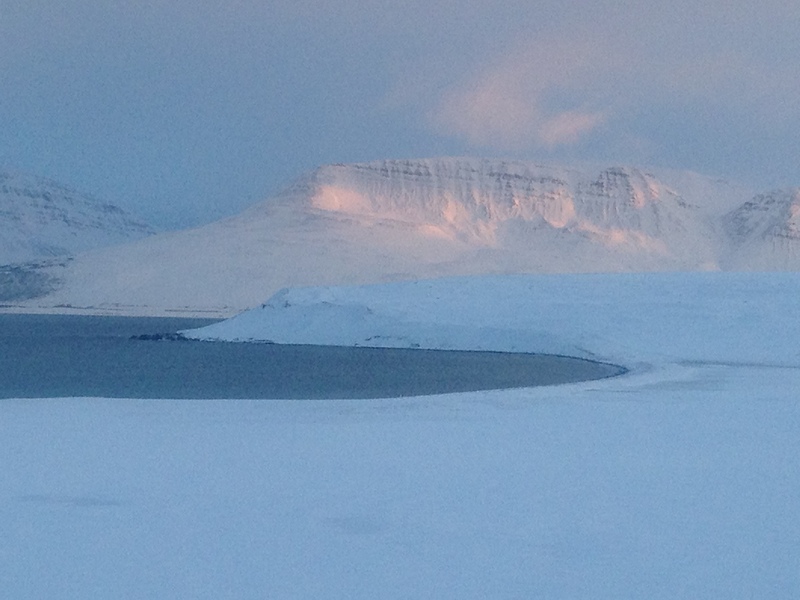 After a big blizzard in the North, I scrambled to re-organize my last few days in Iceland. 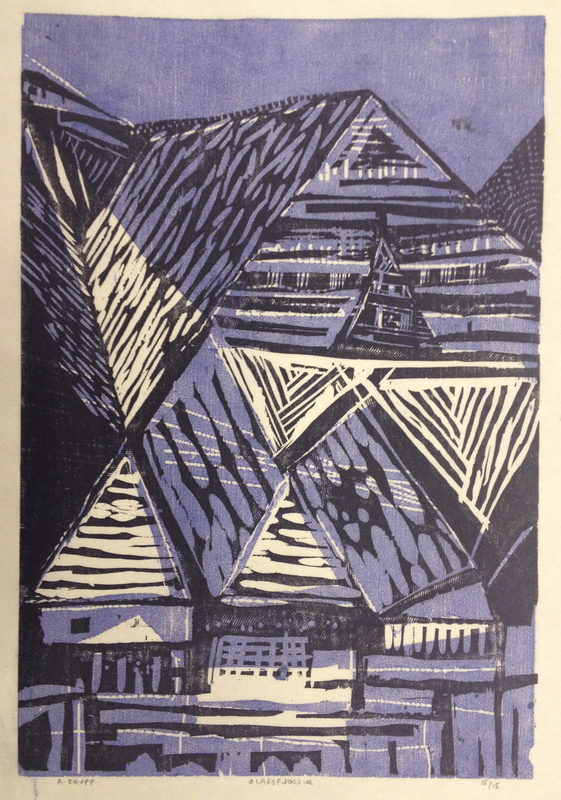 I had hoped to drive to Reykjavik and spend my last two days at the National Library and visit the studios of the Icelandic Printmaking Association. It was not to be, Mother Nature had other plans, and that trumps everything. 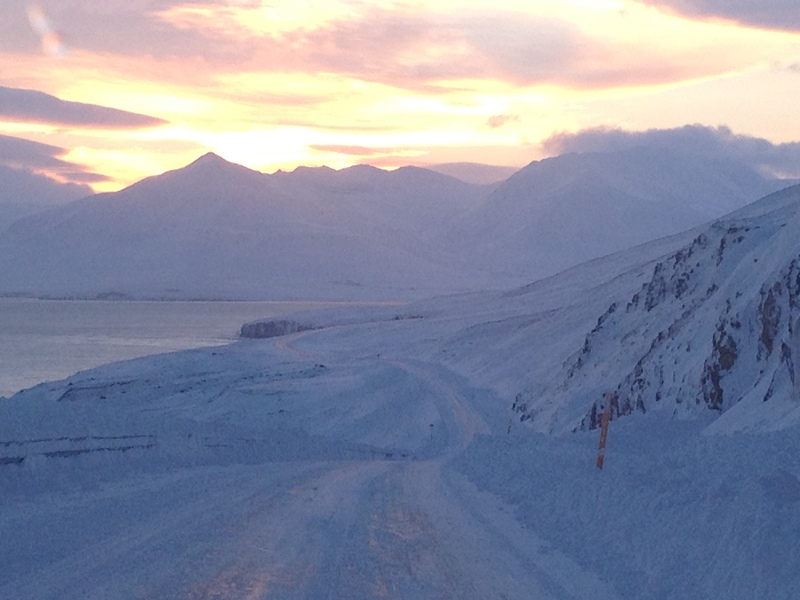 The road out of Olafsfjordur was impassible for 2 days, and I had serious doubts about driving through some long mountainous passes on route 1, the ring road around the island. So plan B: swim some laps and try to relax. In the end I decided to leave my car in the North, in Akureyri, and fly South on the day of my international departure from Keflavik, fingers crossed that the weather would hold. 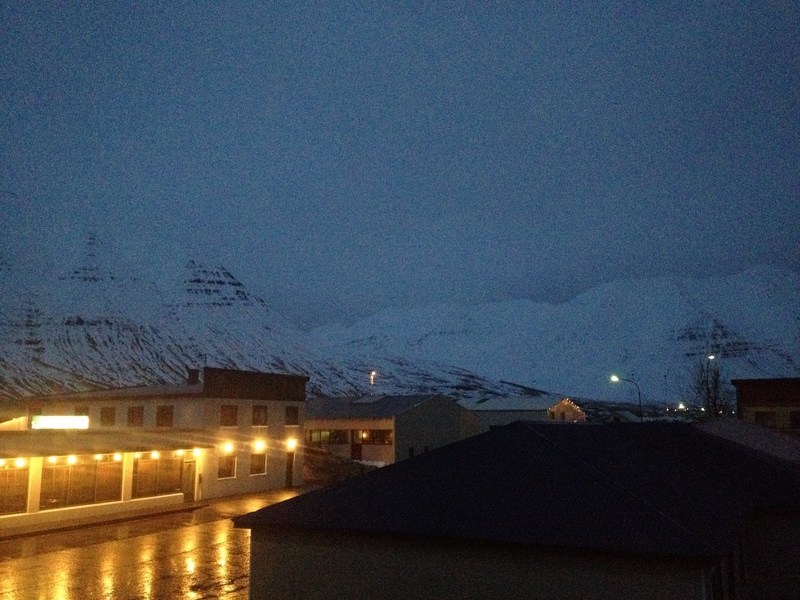 On the up side, my drive to Akureyri, an hour away from Olafsfjordur, was uneventful. At times, though, the light was so spectacular that I thought I would go off the road. Here is the light at mid-day, between 12:00 noon and 1:30 on December 12. Then from 2:30pm and on, once again, the descent into blueness, deeper and deeper until dark. I am going to miss the blueness. 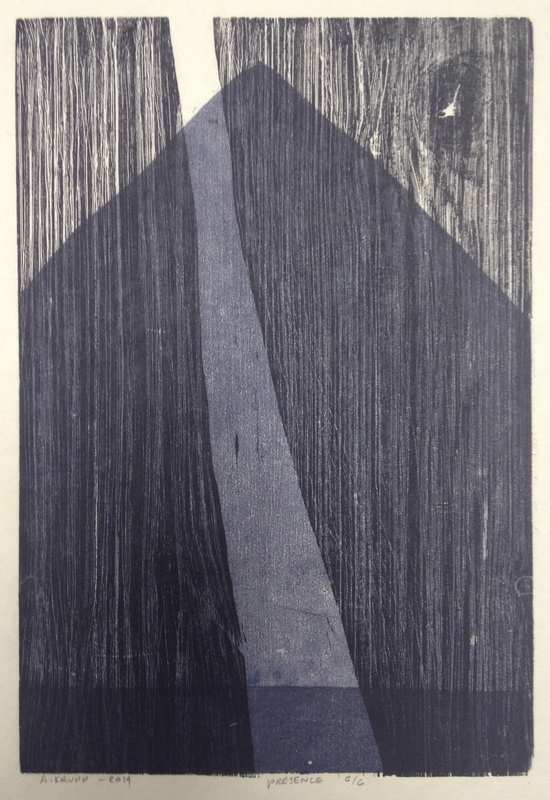 My last 10 days or so at Listhus were dedicated to my woodcuts. These are the three that I made, all editioned, and the blocks cancelled so I won’t have to carry them home. 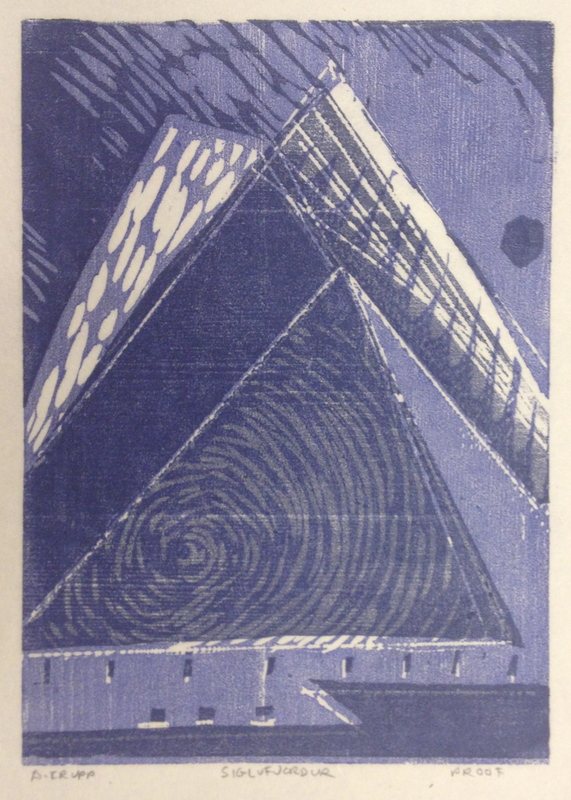 This entry was posted in Iceland 2014, Kickstarter/Gullkistan Uncategorized and tagged Iceland, Icelandic Printmaking Association, Listhus, mountain forms, National Library, Olafsfjordur, woodcut on December 13, 2014 by andreakrupp. Painting, meet Print. Print, meet Painting. Here are a few more paintings I have been working on, all around 16 x 20. I am still using Golden Open acrylics, which I like a lot. The colors are pure and rich, and they really do stay “open” and workable for days. And so things are coming full circle. 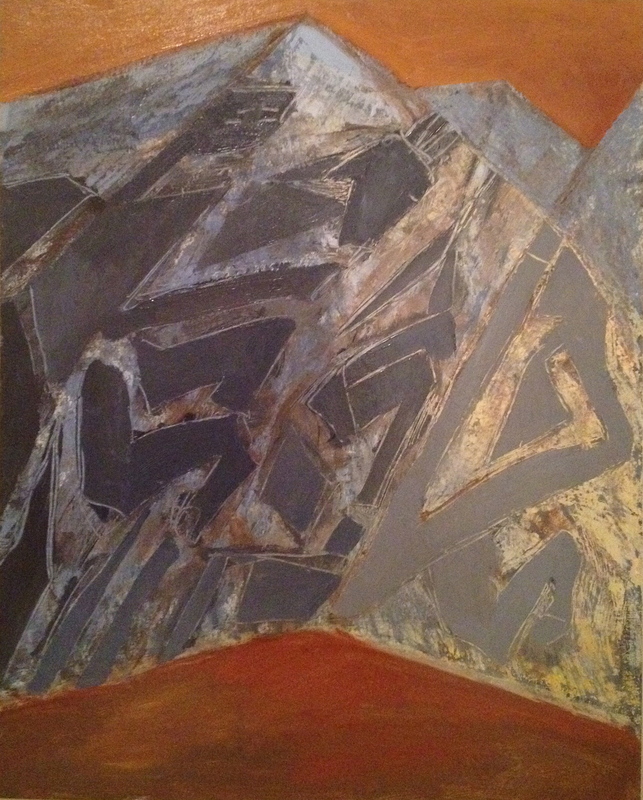 In this series I am working the paint layers, and cutting through in a very physical way. 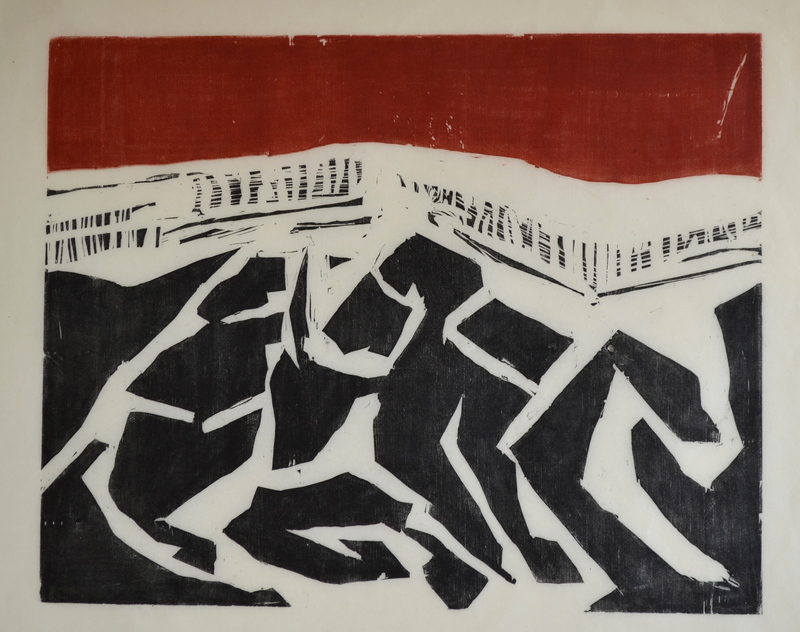 Another link back to the woodcuts I was making just before this trip to Iceland. My approach to painting has changed so much in the past year. 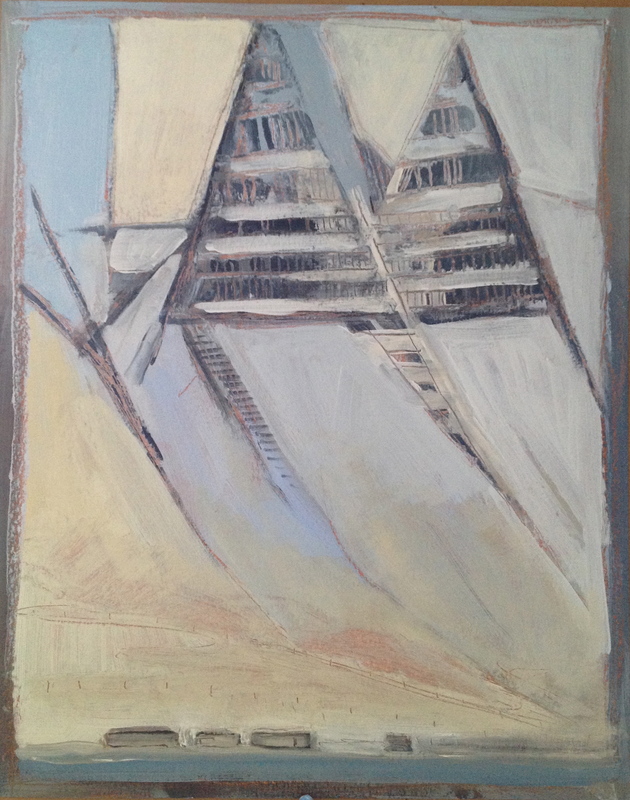 It all began at Gullkistan, where I arrived with the intention of shaking off old habits, old approaches to painting that no longer felt right. 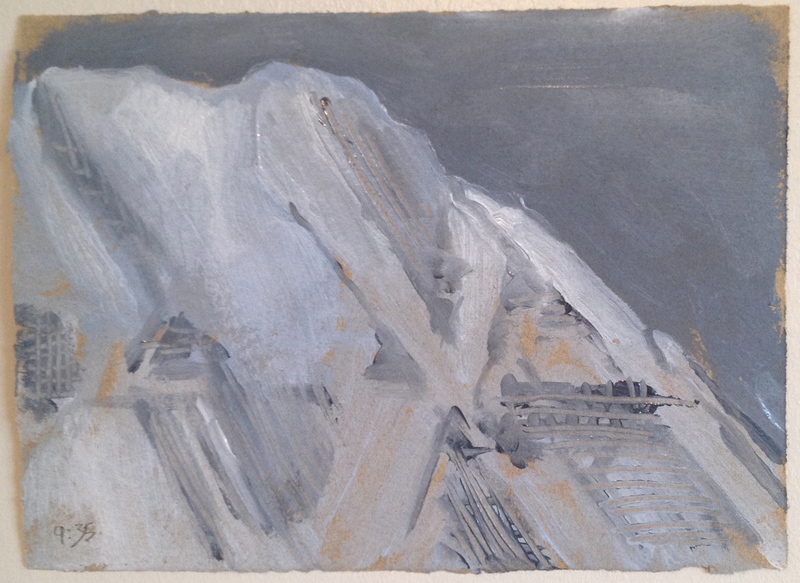 Now my printmaking is influencing my painting, and my painting and my approach to color is influencing my prints. It’s an old story, I know, the artist’s path of discovery. But for me it’s as fresh and exciting as this new day! 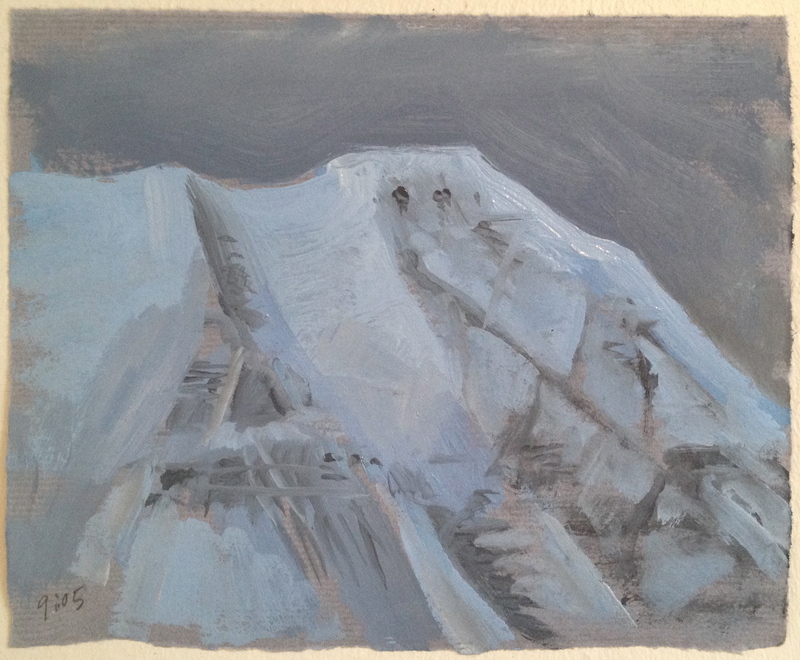 This entry was posted in Iceland 2014, Kickstarter/Gullkistan Uncategorized and tagged acrylic, Iceland, landscape, landscape painting, Listhus, mountain forms, Olafsfjordur, printmaking, relief print, saga on November 20, 2014 by andreakrupp. I am continually puzzling to understand the color of the snow. 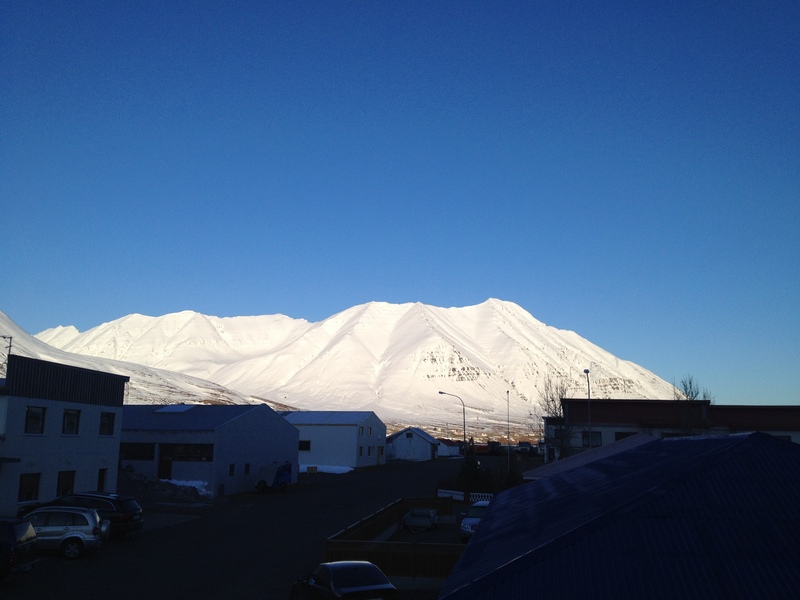 In good weather the sun shines on Olafsfjorður for a few hours each day, technically from 10:00 am to 4:00pm, perceptibly shorter every day. But the light precedes sunrise and continues long after sun down. The snowy mountains surrounding the town are like giant reflectors that bounce the light around, illuminating the opposing mountainsides with a mysterious glow. The winter light up North here is weird and beautiful… and magical… and inspiring. 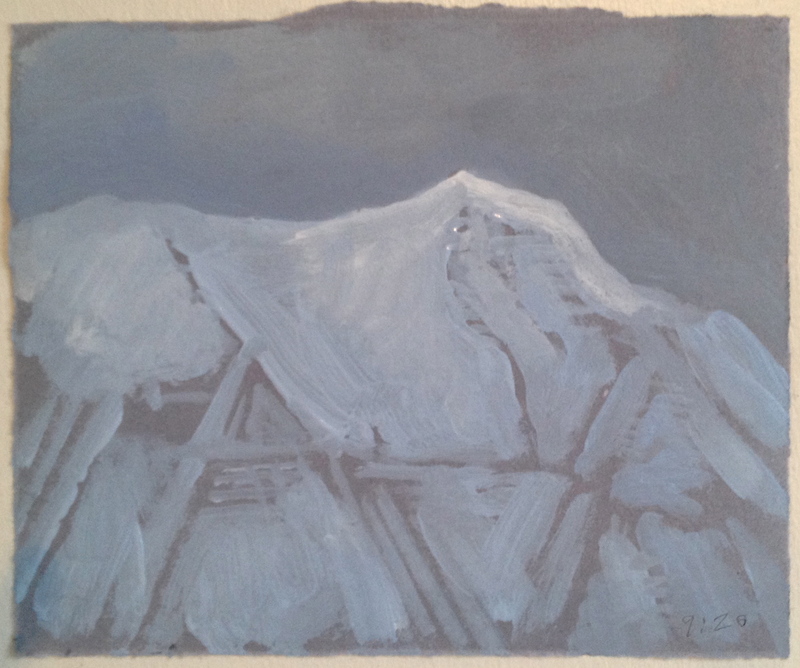 This entry was posted in Iceland 2014 and tagged acrylic, Iceland, landscape painting, limited palette, Lishus, mountain forms, Olafsfjordur, Siglufjorður on November 12, 2014 by andreakrupp. The landscape is beautiful, the mountains are impressive, white, towering above the town and casting interesting shadows. My mission here is to “go deeper” into the Icelandic landscape, and how I experience this place. Everything tugs and pulls in different directions, exciting and unknown, every road a temptation. Instead of chasing mountains, I think I’d be well served to sit still and see what comes into focus, right here, right now. I end each day with a swim in the community pool, outside, with clouds of steam rising off the surface and billowing away. Mountains are visible on both sides as I swim length after length. My mission is to absorb the influence of this place, to be patient with myself, and to work without censoring. Something will happen. 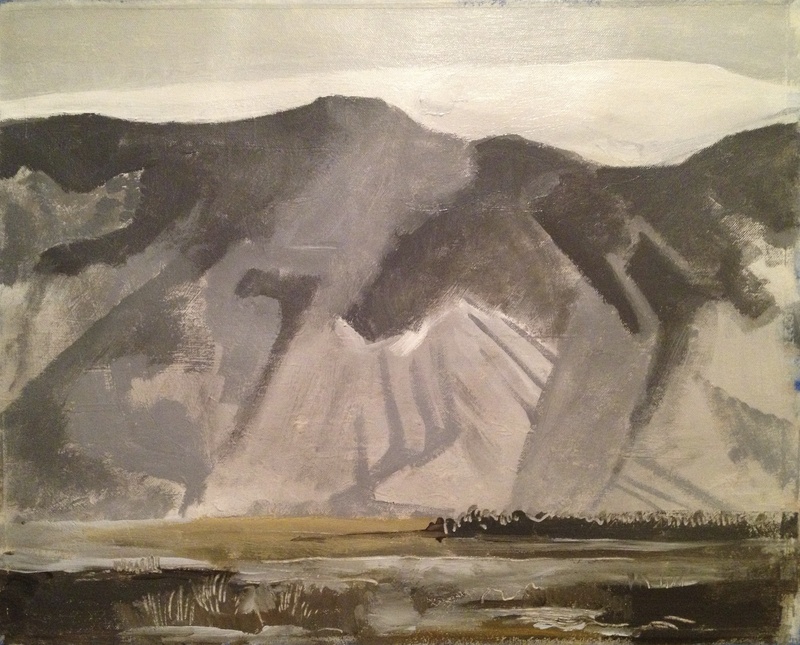 This entry was posted in Iceland 2014, Kickstarter/Gullkistan Uncategorized and tagged Iceland, landscape painting, Listhus, mountain forms, Olafsfjordur, place on November 6, 2014 by andreakrupp.